I love doing wedding fairs and having the chance to meet newly engaged couples and brides who are hunting for those perfect elements to their special day. It’s a great way to meet amazing and reliable wedding suppliers in cornwall, discover different styles and find out prices and availability, we all really love hearing about your plans and ideas! 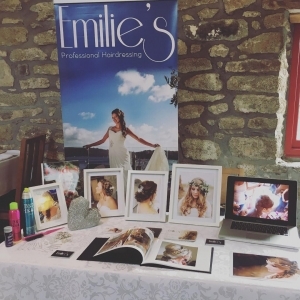 I usually do several fairs a year and often with the best wedding fair company in Cornwall – Art of Weddings, hosted by Jules Hayden – they are all about being beautiful, helpful and abundant with variety of suppliers tailored to Brides and their families who attend. Art of Weddings shows currently are held at the Pavillion centre in Wadebridge Showground, The Alverton Manor in Truro, St Germans Priory and Truro High School for Girls. The next wedding fair I will be attending is on Sunday 21st October at the Pavillion Centre in Wadebridge Showground, it’s a great opportunity to come and say hi, have a free mini consultation and ask any questions you may have. Keep checking my blog for more dates on shows in 2019, hope to see you soon!